(S0101) Take the sexiness of Mr. & Mrs. Smith and inject it with the humor of Chuck and you get Undercovers. This show has so many good things going for it: likable characters, funny dialogue, exotic locations, cool cars, and very good looking lead actors. But what it doesn't have is an interesting plot. Basically the premise of the show is that ex-CIA agents Mr. Steven and Mrs. Samantha Bloom (played by the very attractive Boris Kodjoe and equally beautiful Gugu Mbatha-Raw) are brought back from retirement to help find their good friend and colleague Leo Nash (Carter MacIntyre). They follow one unrealistic lead after another, jumping from Nash's hideout in Madrid, to a bank whose security system they hack into for no real reason (why don't they just ask for the security tapes? ), to a wedding where Samantha has to take her clothes off for no real reason, to Paris where they have a car chase for no real reason. Their CIA handler places a mysterious phone call where he makes it clear that there is more to this assignment than the Bloom's know, but it turns out to really be pretty straightforward. Nash has been captured and they need to find him. That's it. No plot twists, nothing. There is a little bit of mystery about whether Nash might have "gone rogue," mostly due to Steven jumping to conclusions, but this is quickly and easily cleared up and then the episode ends. I'm assuming the series will just be one case after another as we have not really been given any satisfying clue as to what the overall conflict for the series is (unless the phone call has something to do with it? I hope?). One thing that really irked me about this show is that much of the technical spy work that the couple does is completely implausible. For example, you can't take a USB stick and use it to find out where the computer it was last plugged into was located. But despite the plot issues and the poor technical research on the part of the writers, I genuinely liked the characters. Mr. and Mrs. Bloom do have a sort of chemistry, and the comic relief side-kick character, Bill Hoyt (Ben Schwartz) is cute. Because pilot episodes aren't always indicative of the quality of a series, I may give Undercovers another shot, but I hope the next episode is a vast improvement over this one. A plot is a pretty important thing to have in a spy series. From Around the Web: Undercovers, "Pilot"
BuddyTV: There are plenty of things to get excited about with the newest J.J. Abrams show,Undercovers, premiering tonight at 8pm on NBC. Other than an episode of The Office, it's the first time Abrams has directed a TV show since the pilot of Lost. It's also a fun, fast-paced action series that feels like a cross between Chuck and Aliaswithout the serialized mystery. 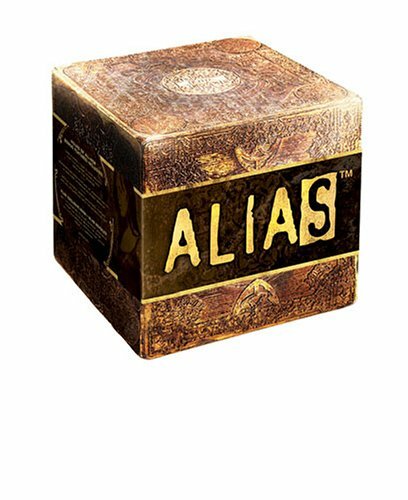 Watching right now... thus far it feels like an Alias without (thus far) the plot development and strong character arcs that made that show one of the best on television for its first three seasons or so.